Everything the Alienist was supposed to be. Great. Excellent Story. Excellent Narration. I'll be reading the rest of these for sure. This is the worth the credit for a listen. Stop Trying to make Sci-Fi into a romance. Started out fine until it got all sappy. Deeply emotional material takes a lot more skill than punching dinosaurs, and this author doesn’t have it. 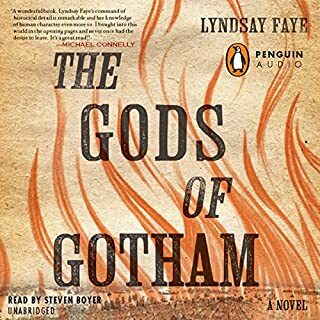 Definitely returning this audiobook. Nothing against the performance. The actors did the best they could with horrible material. 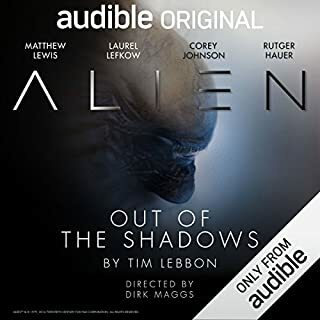 I considered buying this when it first came out because I like the Alien Mythos a lot, but my goodness am I glad that I waited and got it for free during the 20 Days of Audible promotion. I wanted to like this, I really did, but between them having stripped out all the narrative and the generally weak material they had to start with, I couldn't do it. What a waste of a great idea. 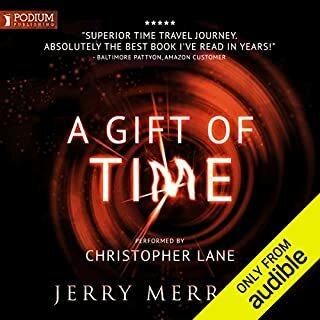 It makes me really leery of buying any further Audible radio productions. 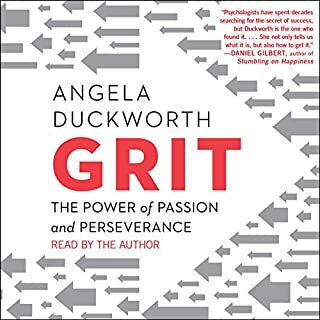 I've listened to quite a few books along these lines: "Talent is Overrated," "The Power of Habit," "The 7 Habits of Highly Effective People," etc. This was among the best. It was not, however, as revolutionary as I'd expected based on what I've heard people saying about it. If you've not read those others, read this and have your perspective revolutionized. If you have, read this and have your perspective reinforced. Either way, it's worth the time, and I especially appreciated that the Author read it to us herself. I give this three stars not because I have anything against it but because I liked it just fine, and I'm trying to fight Star Inflation. Good read. Lots of fun. I laughed out loud many times. Nothing special or especially memorable though. It's a tough job, but somebody's got to do it. 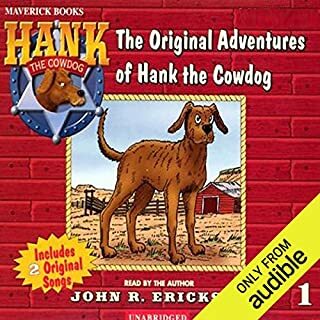 Guts, glory, danger, and sacrifice are all in a day's work for Hank the Cowdog, Head of Ranch Security. While investigating a murder on the ranch, Hank finds himself the number-one suspect. Hank: a timeless chuckle for families everywhere. I used to love renting these from Cracker Barrel as a kid. 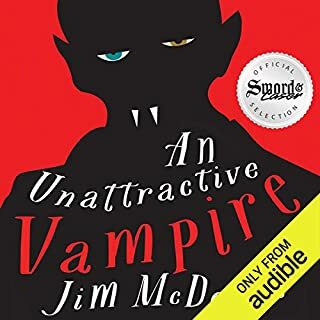 So glad Audible has them, and my kids get to enjoy them. I've been hearing about this book for many years, and I've been intending to read it for over a decade now. I loved the author's Midnight's Children, and I had very high hopes for his most famous of books, but it just couldn't live up to all that hype. I suspect that nothing could have. Did Sam Dastor do a good job differentiating all the characters? How? He did a great job with many of the voices. My only complaint was his rendition of Americans. 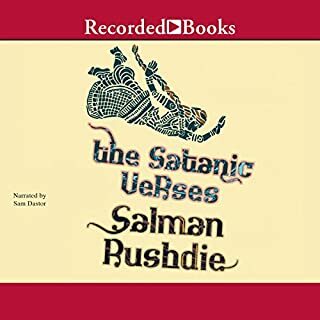 His American accent is one of the strangest things I've heard in all my years of audiobooking. 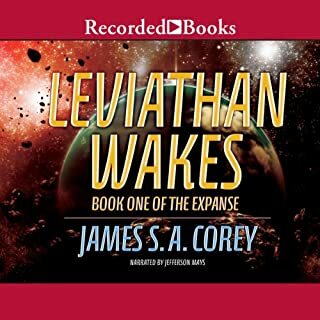 Would you consider the audio edition of Leviathan Wakes to be better than the print version? What other book might you compare Leviathan Wakes to and why? It's similar to anything by Alistair Reynolds because of the general feeling of humanities smallness in a great and dangerous universe. It's just generally a good story. 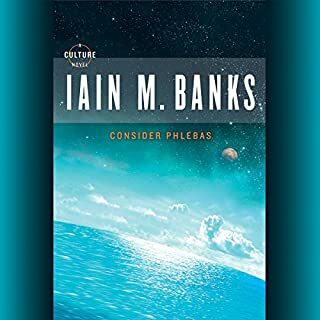 If you could sum up Consider Phlebas in three words, what would they be? What does Peter Kenny bring to the story that you wouldn’t experience if you just read the book? I don't really tend to like Ian Banks' Characters. They are all pretty unlikable. If you can deal with that, then this is a good book. Don't let the crappy (pardon the pun) first chapter deter you. Things get better.